You Oughta Be Congratulated: Circa 1985. Sure it was sexist making mum the cooking hero, but this tune sold loads of margarine and made the Aussie family look and sound good. It inspired so much melody and honesty in jingles from that time onwards. 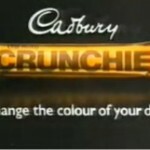 Crunchie, Change The Colour Of Your Day: Circa 1982. One of the greatest and most memorable jingle stings of all times. The line was perfect ( still is) giving the ultimate promise of a change with every mouth watering bite. You could redo this ad today with an edgier visual and updated sonic branding and it would work again. 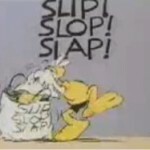 Slip Slop Slap: Circa 1980. This was the catchiest way to create a change in behaviour and awareness and it still resonates today. Skin cancer has obviously grown to become a serious threat in Australia since then, but the Slip, Slop, Slap catch cry is still used as common vernacular even though the campaign has been off air for more than 20 years. That’s the the power of music to create change not only in consumer behavior but to help get a serious message into the public consciousness. Care For Kids: Circa 1979. 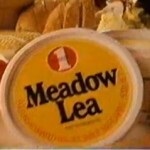 This was just a brilliant song written by one of Australias seminal jingle writers Pete Best. We all felt good as kids singing along and it certainly worked hard to bring awareness to the plight of children everywhere. I actually own the 45 inch vinyl of this jingle. what ever happened to the TV commercial for CARE FOR KIDS….if i remember correctly it was around 1984/5. Does anyone have the footage of that commercial.? That Care For Kids Campaign Commercial was on air in 1979 and featured pretty heavily from memory, not sure if it came back and was re-used in later years ( being mid 80s ) i can’t recall it returning.